Back to Thursday at Blickling this week. An interesting, if not particularly tiring day helping to erect the new fruit cage that I thought might have been up already! I’m not sure about why there had been a delay, but no matter, it was an enjoyable day working mainly with Project Manager Mike, Gardeners Ed and Rebecca, Norfolk Peter and a couple of guys sent over by the supplier to help. Reminiscent of the task we had putting in the oak posts to support the raspberries, this involved lining up the posts, sinking receivers into the ground for the powder coated posts and then fixing the cross rails, making sure all were vertical and level as we went. We finished off with some corner braces to fix the outer posts rigid. The cage had been specially made to fit the irregular shape of the fruit bed, so I spent some time sorting out the different lengths of cross rail and placing them ready to be fitted. Back to cage fighting! After a few moments of cursing at posts that wouldn’t stand straight or rails that weren’t level, with the aid of a sizeable rubber mallet and spirit level, we were able to ensure the structure looked neat and tidy. There was also a good standard of ‘garden banter’ on offer! ..near the end..of our tethers?! By the time I had to leave the bulk of the cage was up, leaving just one side to be put in. I think Mike is going to put the side netting on, but in case of heavy snow this winter, is leaving the roof off until the spring. I also had a spare ten minutes so I weeded the large piles of compost waiting to be put on the ground as mulch. I also had the chance to speak with Mike about one or two matters I raised in last week’s post. First, I was right about the new compost bins- they are designed as ‘hot bins’ so don’t need any extra aeration. Mike tells me the temperature in the middle is already up in the 70’s fahrenheit! Second, he does plan to put in some green manure on the pumpkin beds, but it looks like its getting a bit late to sow any but a variety of grazing rye, so we shall see. I noticed that the beds had already been dug over following my clear up last week. …Boston Ivy strarting to turn..
GQT: Are Green Manures any good? At one of my recent ‘Grow Your Own’ classes, one of the participants raised an interesting question about Green Manures (GM’s). He wondered if it was actually worth growing green manures as additional sources of nutrients. He reasoned that as they use up nutrients from the ground there isn’t any real gain in the nutrients avialable to follow on crops. Like me, he had also heard that legumes, (peas and beans) do fix nitrogen from the air and therefore their roots are a source of additional supplies of this if dug into the soil. 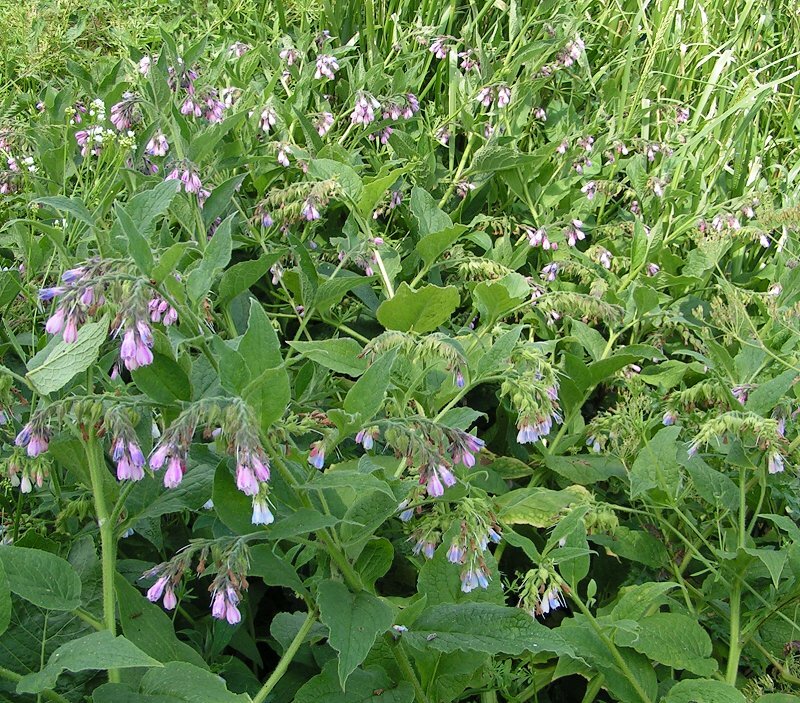 And he also mentioned that deeper rooting plants like Comfrey tap into nutrients that wouldn’t otherwise be available to plants with shallower roots, so making these available via their leaves once composted, and also from a ‘tea’ made from these and applied as a liquid feed. So is this all correct? Legumes, when the temperature is warm enough and they have the right bacteria, will fix the nitrogen they need from the atmosphere. It is very true, and seldom appreciated, that if a legume crop (eg beans) is harvested then most of this nitrogen is taken away and not left in the soil. 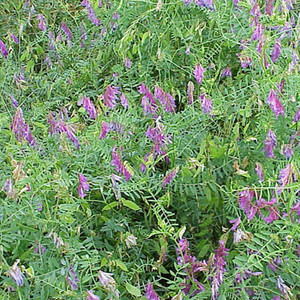 However, if the legume is grown as a green manure and dug in whole (usually in an immature state) rather than being harvested then there will certainly be a net benefit; nitrogen fixation (directly or indirectly via animal manures) is the main source of nitrogen for agriculture and horticulture in the absence of artificial fertilisers. Non leguminous plants can only take up nitrogen from the soil as inorganic ions (ammonium but mainly nitrate). The latter is very soluble in water and so easily washed out by the rain and so lost from the soil, contaminating drinking water and rivers etc. 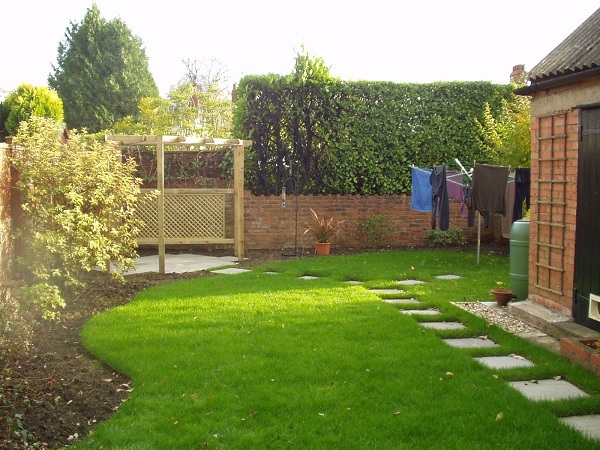 A lot of work was done (some by Garden Organic) to demonstrate that one of the best ways of preventing this was by growing winter green manures such as rye. When this is dug in the nitrogen they have taken up is mineralised to be made use of by following vegetable crops. So, the net result is that there are several good reasons for using GM’s over the winter, including maintaining nitrogen where this would leach away from unprotected soil, weed reduction, protecting soil structure, and the addition of organic matter to help moisture retention and soil structure. However, the legume contribution to soil fertility (assuming you grow these to produce food), is of questionable value if left in the soil and dug in. Better to add animal manure or your own compost to boost nitrogen levels. My first article in this series covered the 7 reasons to use green manures – any plants that are grown to benefit the soil. Today I’ll cover where and when to use them. Green manures can be grown as a ‘catch crop’ – something to fill a gap in the growing plan for any particular border, bed or growing area. For example, after lifting potatoes don’t leave the soil bare but pop in something like Grazing Rye or Winter Tares which can be sown quite late and will keep the soil covered in the winter months. You can also sow fast growing green manures in areas where you plan to plant frost tender crops such as courgettes or runner beans, while you’re waiting for the weather to warm up. Some green manures will germinate in early spring and will keep the ground free of weeds. A few weeks before you’re ready to put in your frost tender plants dig in the green manure (leaves and roots) and this will be a good source of organic matter for greedy, moisture-loving crops like runner beans. However, don’t do this if you’re planning to sow any small seeded crops like carrots or parsnips as the green manure will inhibit seed germination. Where you have a tall growing crop such as sweetcorn, you can sow a green manure between the plants to help reduce weed problems. A low growing plant such as Trefoil will keep the ground covered and this can be left to grow over winter once the sweetcorn has been harvested. If you know your soil has been ‘over worked’ by previous gardeners (say in an allotment) and little bulky organic material has been added, it’s a good idea to grow a green manure in the first season. A fast maturing green manure can be used to fill bare patches as spring flowers die down but before summer bedding can be planted. Green manures can also be used to revitalise tired soils where old shrubs or roses have been removed and a new planting scheme is planned. The area can be left to recuperate under a green manure for a few months or a year. Attractive green manures can be used to fill gaps around summer bedding or other plants – a low growing variety will help to smother weeds and retain moisture. Blackcurrants are ‘greedy feeders’ and can benefit from a green manure which helps to take nitrogen from the air and fixes this in the soil for plants to use. A green manure such as Tares can be grown around the fruit bushes after fruiting and then incorporated into the soil just before the next growing season – just hoeing off the tops in the spring and leaving these to decompose on the surface should do the job. Winter – hardy green manures can be grown around the bases of fruit trees in the autumn. Helping to keep down weeds these can be cut down and left to decompose in the spring which will once again provide a valuable source of organic material for the tree. A long-term green manure, such as Clover, could also be grown around the tree – this will provide weed cover and also be a rich haven for pest – eating wildlife. My next ‘Green Gold’ article will give some examples of different green manures and their strengths and weaknesses.